Look up and take a moment to appreciate the night sky or the promise behind the clouds. 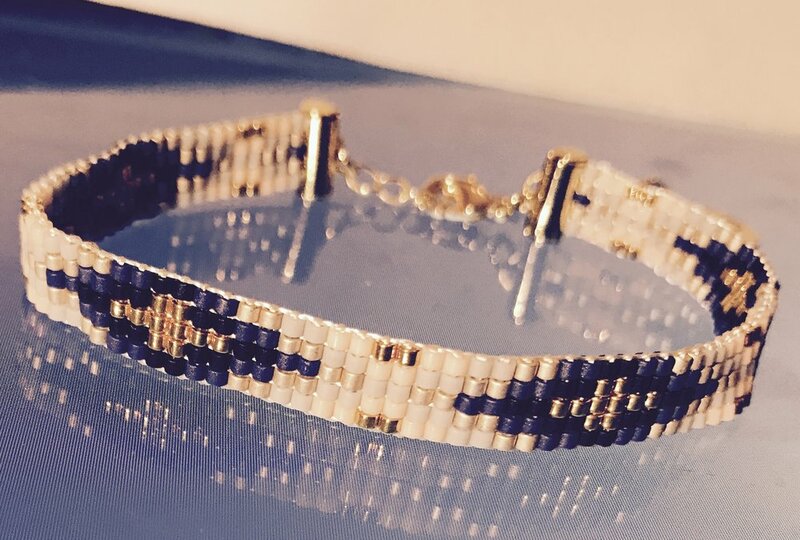 Our Sky View bracelets are in an elegant and sophisticated pattern and beautifully made. 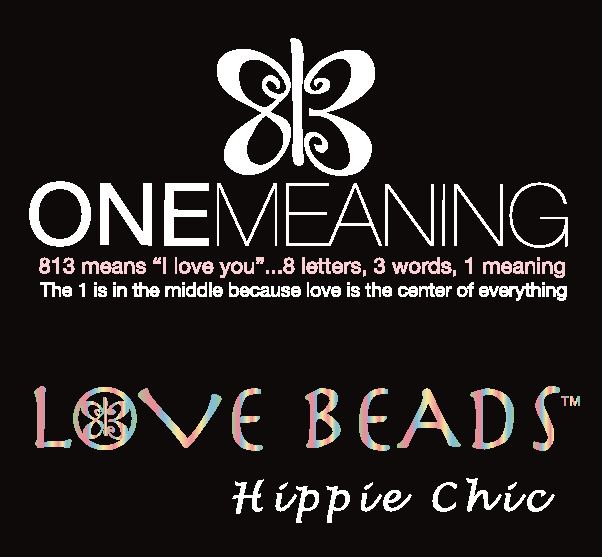 One Meaning Love Beads are handmade for us using shimmering glass beads. 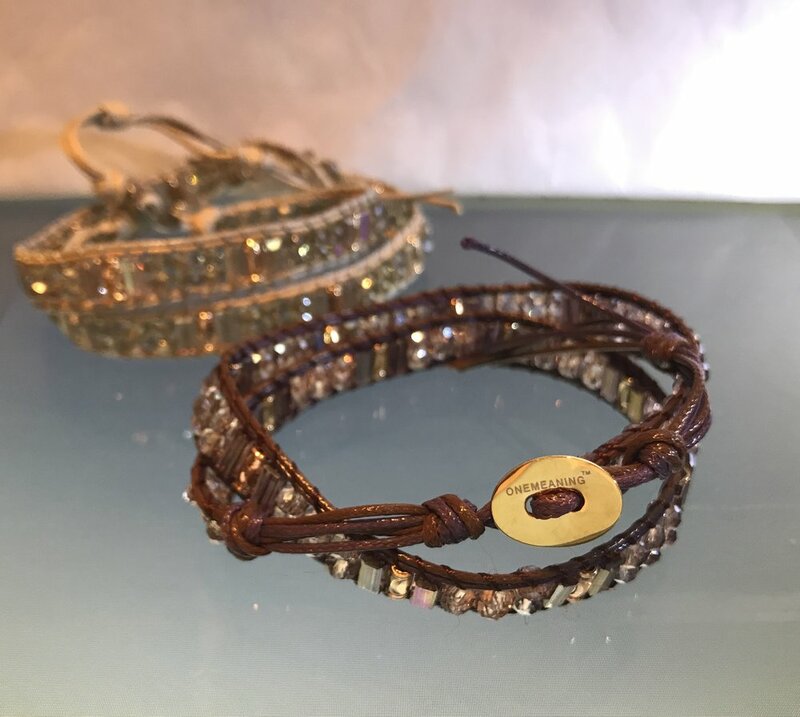 Comes with a Sterling Silver plated charm (cool) tones or Gold plated (warm) tones of our meaningful 813 Butterfly that means I love you. All are adjustable. 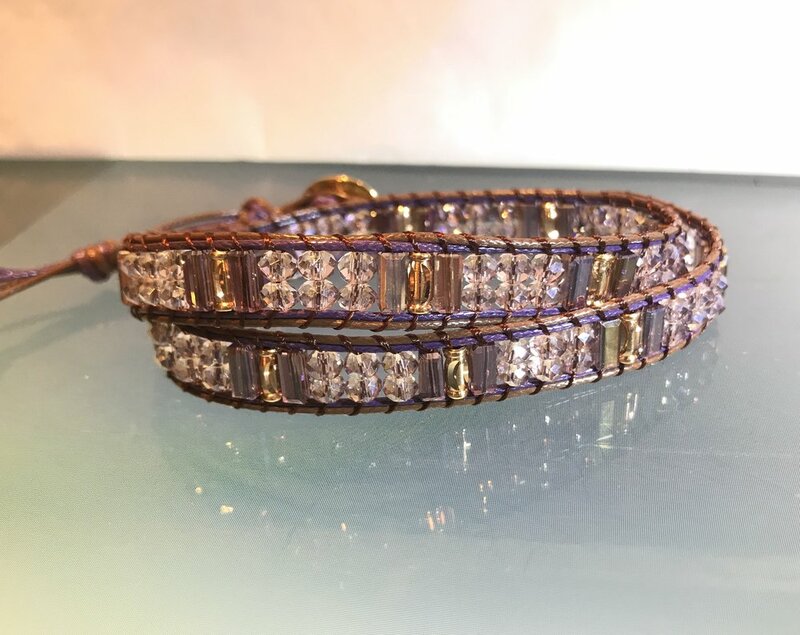 Starry Starry Night - Plum and blush with a mix of irridescent beads that twinkle like stars. Silver Lining Gray - Feather Grey and blush with a mix of rose gold and silver graphite irridescence. luxurious and meaningful. 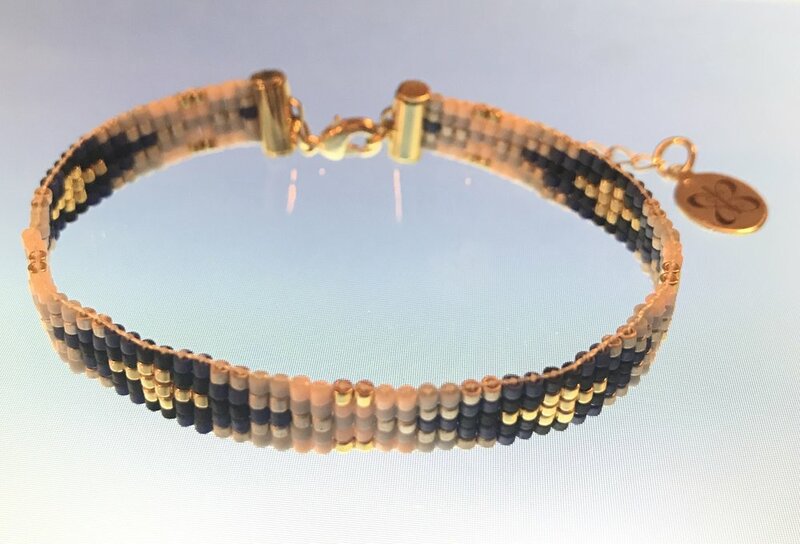 Our Love Beads are handmade exclusively for us in NYC using gorgeous glass beads with a distinctive shimmer and a pattern that is reminiscent of a rich ribbon. 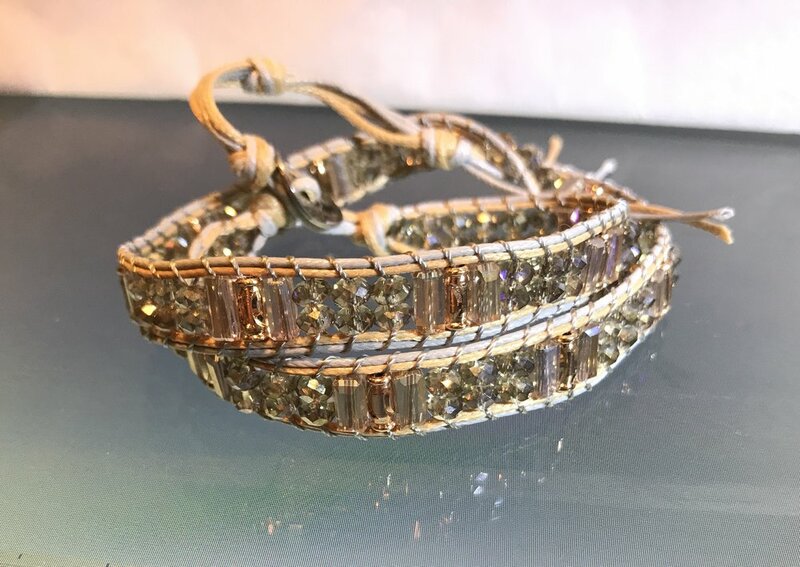 Available in tones of beige, cream, blush, blue, black and gold. 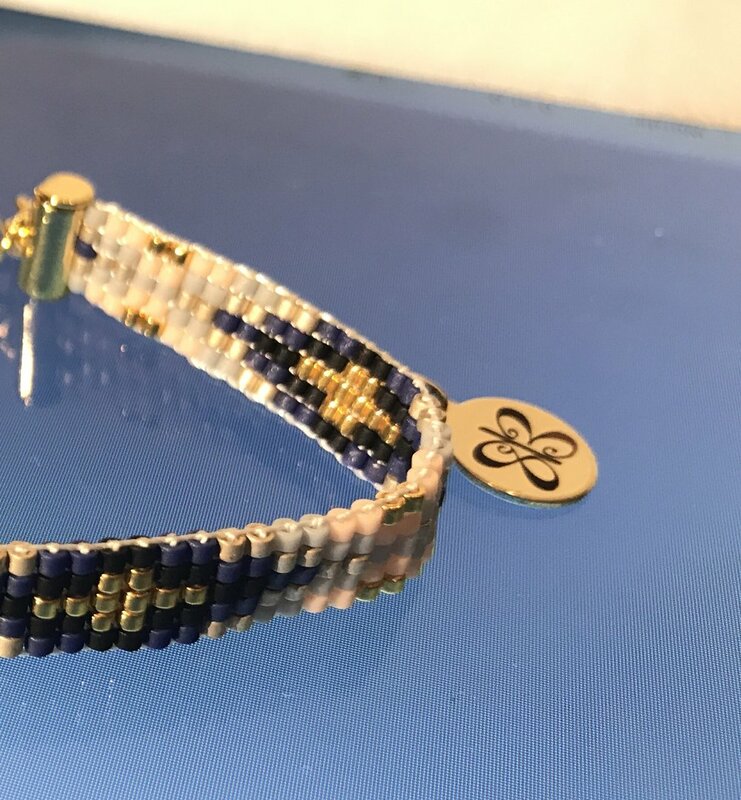 Each bracelet comes with a brass gold plated clasp and One Meaning 813 Butterfly charm. All are adjustable.